The Cabinet Ministers of the Government of Tamil Nadu has approved an investment of Rs 7,000 crore by Hyundai Motor India Ltd. The funds from the Indian subsidiary of the Korean auto major will help the carmaker foray into the country’s electric car market by producing EVs at its Sriperumbudur-based facility near Chennai. The latest development comes into the light from the disclosures by two government officials. Moreover, the government official has even said that the Rs 7,000 crore that Hyundai will investment into the state includes an electric vehicle incentive package for the company. The latest investment and the expansion in capacity will help the company add 1,500 new jobs at its production facility. In the coming days, a memorandum of understanding (MOU) will be signed between the carmaker and the government of Tamil Nadu at the Global Investors’ Meet. Also, the fresh investment will help the carmaker bump up its annual production capacity by another one lakh units. The first all-electric vehicle from Hyundai Motor India Ltd will be the Kona EV that made its public debut at the MOVE 2018 summit last year. The premium model will be brought to India via CKD route and was earlier expected to cost roughly Rs 25 lakh. However, thanks to the incentives from the Government could help the carmaker price the car slightly better. 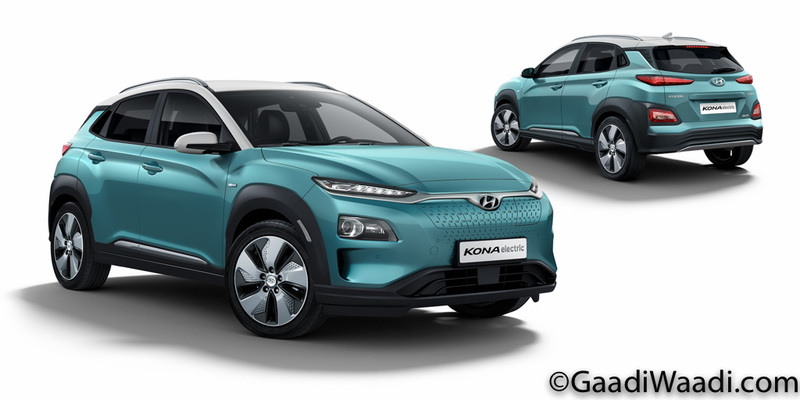 The Hyundai Kona EV is powered by a 140 kW (204 PS) electric motor that is internationally on sale with two battery packs – 39.2 kWh and 64 kWh. India will get the smaller of the two versions. It offers a driving range of 240 km and a peak torque of 325 Nm.